We propose parametric rectangles — cross products of intervals whose end points are functions of time — as a new data model for representing, querying, and animating spatiotemporal objects with continuous and periodic change. 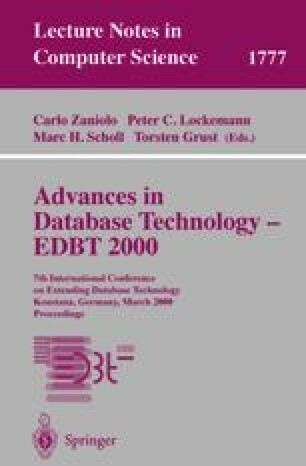 We prove that the model is closed under relational algebra and new spatiotemporal operators and that relational algebra queries can be evaluated in PTIME in the size of any input quadratic non-periodic parametric rectangle database. Finally, we also describe the implementation in our PReSTO database system. M. Casco Associates. Linear Momentum and Collisions: A Mechanics Course, available at http://www.mcasco.com/p1lmc.html.